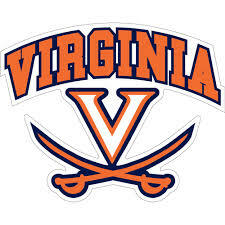 The Virginia Tech Hokies and the Virginia Cavaliers will meet on Tuesday at John Paul Jones Arena. Virginia hasn’t broken much of a sweat while beginning ACC play with three straight wins for the second straight season. They are using its trademark recipe of precision offense and suffocating defense. The 7th-ranked Hokies look to have something to say about that one tonight. This is the 148th meeting in what is called the “Commonwealth Clash”. Tonight will mark the first time that both teams enter the “Clash” ranked inside the top 10. TV: 8 p.m. ET, Raycom Sports LINE: Virginia -7.5; O/U: 125. The Cavaliers are the Division I leader in fewest turnovers per game, at 8.9, and scoring defense, allowing only 51.2 points per game. Virginia is coming off decisive road victories over Boston College and Clemson. The scores were 83-56 and 63-43, respectively. They have yet to play a game closer than 13 points during ACC play. The Cavaliers return home in hopes of avenging their only regular-season conference loss from a season ago, a 61-60 overtime defeat to the Hokies on Feb. 10. They then travel to No. 2 Duke this weekend. Virginia Tech matched its best start to a season since 1982-83 with Wednesday’s 52-49 road victory over Georgia Tech. They are the nation’s second-best 3-point shooting team. They survived an 18.5-percent effort beyond the arc to earn its ninth straight win. Virginia is 15-0 on the season and 3-0 in the ACC. Kyle Guy averages a team-high 15.3 ppg, but struggled offensively against Clemson. He was 5-for-15 from the field, including 3-for-9 beyond the arc. He still hitting at a 46-percent clip behind the arc. Jay Huff, is a 7-1 sophomore who averages only 4.8 points and 2.6 rebounds a game. He may be coming into his own. He made his impact felt for the second time in four games Saturday. He finishing with 11 points, seven rebounds and a block in only 10 minutes court time. Virginia has held seven opponents below 50 points, while Virginia Tech has done so five times. PREDICTION: Virginia 65, Virginia Tech 60.